An annual sunflower, extremely variable in height and appearance, with hairy stems. Flowerheads of wild form are many per plant, large, with brown disks, and frequently with a double set of yellow ray florets. Disk usually a couple inches in diameter, not including the rays. Blooms July–November. Cultivated forms often have only one, often huge, flowerhead per plant. Leaves are large, ovate to broad, with irregular, large teeth, mostly alternate except the uppermost ones. Lower leaves are usually heart-shaped. All leaves are rough and hairy. Similar species: There are 16 species of Helianthus in Missouri. Common sunflower’s leaves have long petioles, lacking wings, and are rather broad, with the larger leaves ovate to heart-shaped with irregular, large teeth, and are mostly alternate except those at the very top. Also, its disks are reddish brown to dark purple, while several other sunflowers have yellow disks. Height: usually to 7 feet in wild forms; cultivated forms can be much larger. Grows scattered in wasteland along roadsides as well as in cultivation. No one knows for sure if this species is truly native to Missouri, since Native Americans domesticated and distributed the plant early, and European settlers also spread the plant around. The species was brought to Europe as early as the 1500s. The most famous domesticated common sunflower, the unbranched, large-headed ‘Mammoth Russian’ type, was developed in Russia, then brought to America. Statewide, scattered. Mostly absent from the Ozarks and Mississippi Lowlands. Scattered and common. What do we mean when we call a plant a "sunflower"? Often, when a plant is called a "sunflower," it refers to this species, Helianthus annuus, or one of its many cultivated forms. But it is also correct to call any species in genus Helianthus a sunflower, as this is the sunflower genus (Helia = sun; anthus = flower). Even more broadly speaking, the third largest tribe (subgroup) of the aster family is the Heliantheae, which contains genus Helianthus plus about 2,500 other species globally; many of these resemble and are called sunflowers. Finally, although it is also called the "aster" or "daisy" family, many people call the entire Asteraceae "the sunflower family." The second largest family of vascular plants in the world, comprising more than 32,000 species globally, the Asteraceae includes sunflowers, asters, daisies, coneflowers, dandelions, ironweeds, goldenrods, zinnias, marigolds, snakeweeds, yarrows, thistles, cornflowers, lettuces, chicory, wormwood, tarragons, ragweeds, blazing stars, artichokes, knapweeds, beggars ticks, chrysanthemums, and many, many more. The family used to be called the Compositae, because all share the same basic type of composite (multiflowered) flower heads. The common sunflower is a tremendously useful plant historically as well as today. This species is the most important crop plant that is native to the United States. It is cultivated worldwide for sunflower oil, which is made from the seeds. 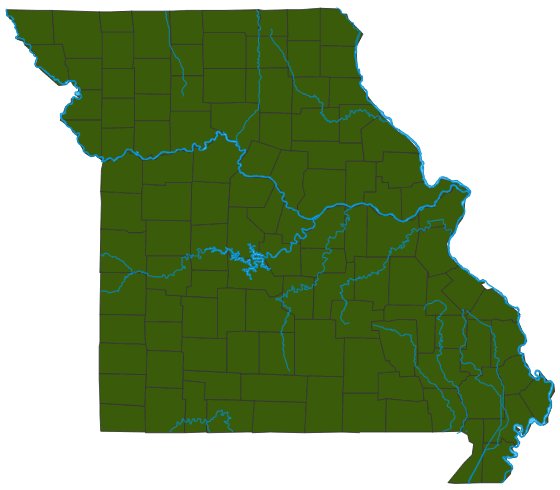 At one time Missouri was a leading producer of sunflowers. The plant is a longtime favorite ornamental for gardeners. Sunflowers are a favorite midsummer selection for cut-flower arrangements. Sunflowers provide food for livestock and wildlife. MDC plants sunflowers in food plots for wildlife in several of its conservation areas. The common sunflower is beloved worldwide by painters, photographers, poets, and novelists. Many baseball players snack on sunflower seeds while in their dugout, instead of the chewing tobacco they historically used. To learn more, read the fascinating (and fun) book “The Sunflower,” by ethnobotanist and enthusiastic sunflower specialist Charles B. Heiser. Birds and small mammals eat the seeds, which are rich in oil and proteins, as well as the foliage. Many kinds of insects visit the flowers for nectar and pollen, and other, predatory insects lie in wait for them. Because they grow readily on open or disturbed ground, sunflowers help bind the soil.